Sebastien Ogier has extended his lead in the Tour de Corse despite not winning any of Saturday’s six stages. The M-Sport Ford finished in the top five and extended his overall lead in each of the first five stages to sit 44.5s clear of Toyota’s Ott Tanak with a day remaining. 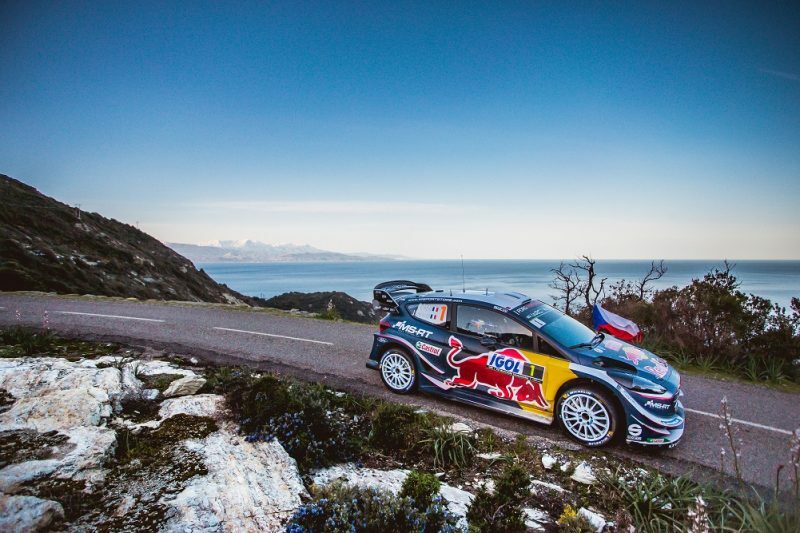 Ogier said that he had taken a conservative approach to Day 2 of Round 4 of the World Rally Championship after winning three of the four stages on Day 1. “Anything can always happen but I don’t take the extra risk and I feel like I’m still in control,” said the Frenchman. Sebastien Loeb won three of the day’s stages having restarted under Rally 2 regulations after siding his Citroen into a ditch on the Friday. The nine-time world champion took out Special Stages 5, 6, and 9, and is now 16th overall. Team-mate Kris Meeke, on the other hand, crashed out in the final stage of the day after getting a poor pace note, having finally moved into second position on the stage prior. “Unfortunately, something happened that has never happened before between Paul (Nagle, co-driver) and me,” Meeke recounted. “He got the pace notes a bit mixed up, but that’s rallying. Second position is now taken up by Tanak, who won SS7, albeit by just 0.1s over Thierry Neuville (Hyundai). Esapekka Lappi (Toyota Gazoo) is fourth after he won two stages during the afternoon loop, closing his deficit to second position from 39.9s at the start of the day to 10.4s at the end. Dani Sordo, Elfyn Evans, and Andreas Mikkelsen fill fifth through seventh, from WRC 2 front-runners Jan Kopecky (Skoda) and Yoann Bonato, and Meeke. Jari-Matti Latvala (Toyota Gazoo) and joined the retirement list when he hit a tree during SS8, as did Bryan Bouffier when his M-Sport Ford’s engine failed. The Tour de Corse wraps up tonight (AEST) with two more stages, the 55.17km test from Vero to Sarrola-Carcopino and the Power Stage.